When a brilliant high-school student is invited to join an international secret society, she leaves everything behind in pursuit of the high-stakes rewards it offers. When Miri discovers her boyfriend is also in the society, they must pretend they don’t know each other, as the students are pitted against each other to push the boundaries of medicine using illegal self-experimentation. Miri’s experiment involves a new combination of specially timed drugs that could mean never needing to sleep again. As her experiment progresses, and she spends more and more hours awake, she finds that all is not as it seems. When the group realises that there is a secret fifth student experimenting alongside them, the stakes are raised dramatically. Now they must decide how far they will go to with their research…and some, it seems, are willing to go much farther than others. When it becomes clearer to Miri that the secrets in this society are deeper and more dangerous than she bargained for, she starts to question the true purpose of the secret society, and who lies behind it. 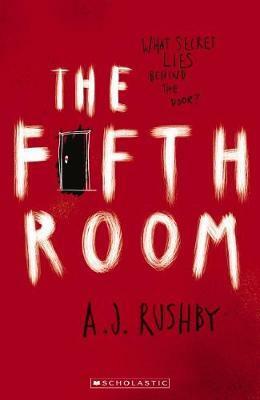 Gripping and page-turning, The Fifth Room is a psychological thriller in which no one is to be trusted, not even yourself.